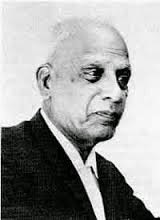 Professor K R Ramanathan, a scientist with broad outlook was born on February 28, 1893 in kalpathi village in Palghat district of Kerala. His full name was Kalpathi Ramkrishnan Ramanathan. His mother’s name was Subbhalakshmi. His father was a scholar in Sanskrit and the Vedas, besides having deep knowledge of astronomy. When Ramanathan was 13 years old, his mother died. He then had to bear the responsibility of his four younger sisters and almost blind grandmother. He completed his primary and secondary education in his village. He was an intelligent boy, who maintained his first rank throughout his education. He then joined Victoria College at Palghat for his intermediate studies. Later, he joined the Presidency College in Chennai (Madras) to complete his graduation in physics, in 1914 and post-graduation in 1917. Prof Stevenson, his examiner at the MA practical examination, was so impressed by Ramanathan’s viva voce replies that after he cleared the examination, Stevenson got him a job as demonstrator at the physics department of the Maharaja College in Thiruvananthapuram (Trivandrum). He worked for seven years in this college. There was a small office of the state meteorological department in the college premises. He took up the responsibility of observation for the meteorological department. This fuelled his interest in meteorology and also gave him some experience. During this time he had trekked the Nilgiri Mountains and weather observations were noted at difference heights up to 1,800 meters. Moreover, he had gathered reports of rainfall in different parts of Thiruvananthapuram and written a research paper on it. In 1919, this research paper was published in one magazine. Prof C V Raman’s popularity and work impressed Ramanathan. They were in touch through correspondence. Raman invited Ramanathan to Kolkata (Calcutta) to do research under his guidance. Meanwhile, Ramanathan received a one year scholarship from Chennai University to conduct research. He took leave from Thiruvananthapuram and headed straight for Kolkata to do research with Raman. He became the first research student of Raman. When light rays hit minute particles they get scattered in all directions. This process is known as ‘Scattering of Light’. Lord Rayleigh had then proposed that if these minute particles are small compared to the wavelength of light, then the scattering of light with the smallest wavelength is prominent. The atoms in the atmosphere are very small compared to the wavelength of light. Therefore, during the day, the Sun’s visible blue-colored light with the smallest wavelength scatters the most. This is the reason why blue-colored light can be visible prominently from all directions. Therefore the sky appears blue in colour. At sunrise and sunset, the sunrays travel longer distance through the atmosphere to reach the earth. Due to scattering, except the light with the maximum wavelength the rest is dispersed. Therefore, light with the maximum wavelength meaning red light reaches us. So the light over the horizon during the morning and evening appears red or orange. In space or in vacuum there is no atmosphere; hence, scattering of sunlight takes place. Therefore, the sky appears black when viewed from space. Raman was conducting research on scattering of light in Kolkata at that time. Ramanathan too joined in this research. During this study they witnessed a unique new phenomenon termed as ‘feeble fluorescence’. However, neither Raman nor he could come to any plausible conclusion. Later, this event led Raman to the world famous Raman effect. Thus, the discoverer of the Raman’s effect, C V Raman considered Ramanathan as his first lieutenant. Thereafter, Raman’s second lieutenant Dr. K S Krishnan took forward this work in Kolkata. The discovery of Raman Effect was announced on February 28, 1928, in Kolkata. Prof Ramanathan’s birthday also falls on the same day. The Government of India has declared February 28 as National Science Day. During his one-year stay in Kolkata, Ramanathan published about 10 scientific research papers in the world’s leading research magazines. For his thesis based on these published papers he was awarded the degree of Doctor of Science by Chennai University. Chennai University had awarded the first Dsc degree to Ramanathan. His one-year research scholarship was also over. To fulfil his household responsibilities it was necessary for him to take up a good job. In the meantime, he got an invitation from Myanmar’s (Burma’s) Rangoon University to join as assistant lecturer in physics. After seeking advice of Raman, Ramanathan accepted the job and left for Rangoon with his wife Parvati in 1922. To remain in touch with research, Ramanathan would rush to Kolkata at every conceivable opportunity. He stayed in Rangoon, for two years. Meanwhile, he was invited by the Indian Meteorological Department to join as a first grade scientist. After consulting Prof C V Raman, he resigned from Rangoon University and joined the Meteorological Department at its head office in Shimla. Till retirement he was with this department. He worked at various places during his tenure. In the meantime, he was given the main responsibility of setting up the geomagnetic laboratory at Colaba, Mumbai (Bombay) and at Alibaug. From Shimala, he came down to Mumbai. He was then transferred to Agra. Here, using rubber balloons he recorded the high atmospheric temperature, humidity, air pressure and made a detailed study. In 1928, the head office of the Meteorological Deparment was shifted to Pune (Poona) from Shimala. Ramanathan was then transferred to Pune and given additional responsibilities, which he fulfilled efficiently. During World War II, the Japanese army had reached Myanmar. At that time it was necessary to predict the exact weather conditions in the higher atmosphere for the safe flying of planes in Assam. Ramanathan was appointed as superintending Weather Scientist and assigned the entire responsibility, which he fulfilled effectively. For his excellent services during the war, the British government honored him with the title Diwan Bahadur. He never made use of this title. His contribution in the field of meteorology was noteworthy. His research of the ozone layer during his tenure in the department had brought him international fame. He had reached the position of Director-General in the Meteorological Department. He retired in February 1948. At the age of 55. Before retirement he had come in contact with Dr. Vikram Sarabhai. Sarabhai wanted to set up a modern laboratory in Ahmadabad. He invited the mature and experienced scientist Dr. Ramanathan to come to Ahmadabad after retirement and join the laboratory that was to be set up shortly as its director. Dr Ramanathan accepted the offer. On March 1, 1948, two days after his retirement, Dr. Ramanathan came down to Ahmadabad and took charge as Director of the Physical Research Laboratory (PRL). PRL was established in November, 1947. Initially, the work began at Vikaram Sarabhai’s bungalow – ‘Retreat’ in the Shahibaug area. In a few months the work was shifted to a few rooms in the M G Science Institute in the University area. In February, 1952, Raman laid the foundation of the new PRL building opposite, Ahmadabad Textile Industries Research Association (ATIRA). In April, 1954, India’s first Prime Minister Jawaharlal Nehru formally inaugurated the new building. Gradually, the institute progressed. In 1966, Ramanathan relinquished the Director’s post and continued his services as Professor Emeritus. He continued to guide in research and administration till his last days. After joining PRL as Director, in 1948 he took a trip to Europe for the first time and visited the various laboratories there. He also attended the Eighth General meeting of the International Geology and Geophysics Society at Norway (Oslo). There he presented his research paper on ozone layer. At this conference he was elected Vice-president of the International Meteorological Society. Thereafter, he had to go often abroad to attend seminars, workshops and meetings. He was elected the president at the international Conference of the World Meteorological Society held at Belgium in 1951. Again in 1954 at its conference in Rome, Italy, he was elected President for three years. The 18 month period from July 1957 to December 1958 was celebrated as the International Geophysical Year (IGY). Dr. Ramanathan played an important role in this event. He was appointed Chairman of the Indian Committee. The headquarters of this society were located at PRL. In 1960, an honorary fellowship was awarded by Royal Meteorological Society, England to Ramanathan. He was the first Indian to get this honour. In 1961, the World Weather Organization honoured Ramanathan with the institute’s medal. From 1961-67, he was appointed Chairman of the International Ozone Commission. Four years after he came and settled in Ahmadabad, his wife Parvatiamma died. He regained his composure even during this difficult time. In 1966, the directorship was given to Sarabhai. Whenever it was necessary, Ramanathan would guide and advise him. Meanwhile, with the unexpected death of Dr. Homi Bhabha, Chairman of India’s Atomic Energy Commission in a plane accident, The commission’s charge was already the Chairman of the Space Research Organisation, besides being the Director of PRL. He had to shoulder the responsibilities of three institutions. During such moments, Ramanathan calmly guided him. The sudden death of Sarabhai on December 30, 1971, deeply shocked Ramanathan. Yet again, he patiently carried on, showing no signs of breakdown. Ramanathan always showed courage during difficult times. Honours and awards never flattered him. He remained stoic and till the end continued to work. The author of this article has had some memorable experiences with him. In the initial years of PRL (1950-54), under his guidance, the author worked as a research scholar and obtained his post-graduate degree. Again in the golden era of PRL, the author joined as a research scientist and got the opportunity to do research with Ramanathan. During this time he got many opportunities to know him from close quarters. 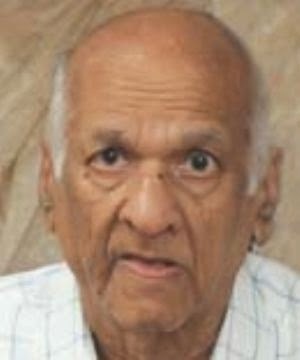 Prof Ramanathan was a father figure to his students. After his retirement, Ramanathan came and settled in Ahmadabad. The major part of his life, more than 35 years were spent here. His contribution to Gujarat and especially Ahmadabad, in the field of education and physics in particular, is invaluable. The Government of India honoured Reamanathan with the padam Bhushan in 1965 and the Padma Vibhushan in 1976. In 1977, the National Science Academy awarded him the Aryabhatt Medal. He had also chaired the Indian Science Academy’s prestigious Raman Chair. In 1985, at the ripe old age of 92, he died after a brief illness. Till his last breath he had taken keen interest in scientific activities. To keep alive his memory, in the centenary year of the late Prof Ramanathan, the newly built air-conditioned auditorium at PRL was named as the ‘K R Ramanathan Auditorium’. Moreover, with an individual contribution by his son Dr. Krishna Ramanathan and financial assistance from PRL, every year a leading scientist is invited to deliver the Prof Ramanathan Memorial Lecture. Wonderful blog !!!! From this blog i came to know more about Professor K R Ramanathan . Thanks for this effective blogs. This was very useful. Thanks. I was happy to read the blog that you have written about my grandfather Prof. K.R. Ramanathan. However, the accompanying photograph at the top right hand corner of article is of someone else. Prof. K.R. Ramanathan's correct photograph is the one of him in a black coat which appears lower down in your article. This error has been propogated elsewhere on the Web as well. I request you to please make the correction.